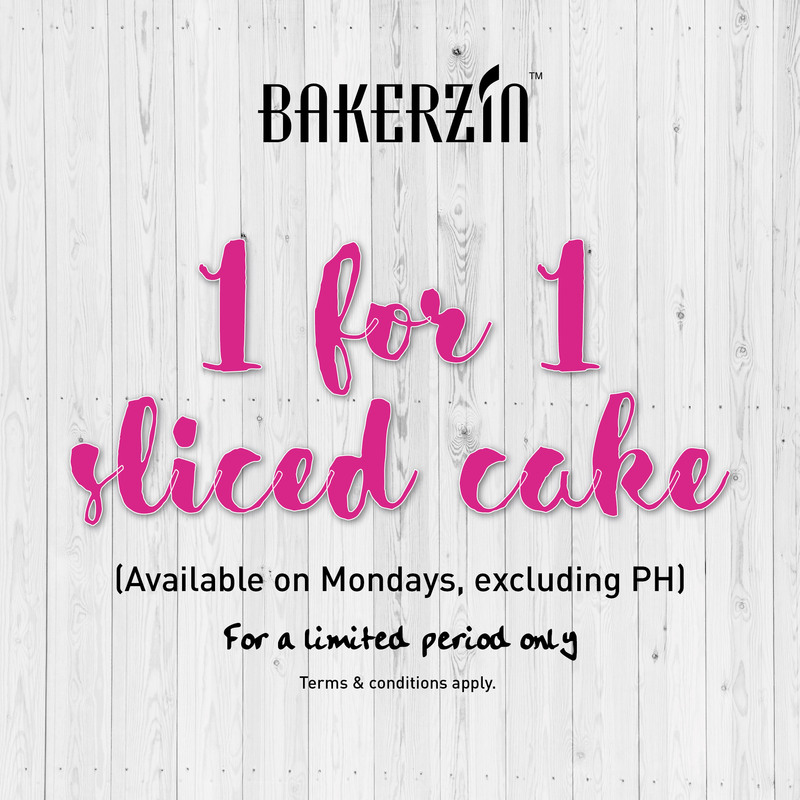 Monday | May 22, 2017	Double the happiness now with 1 for 1 sliced cake! Relish in Bakerzin decadent selection of cakes from Strawberry shortcake, Tiramisu, Mango Mousse to more wonderful selections at our outlets! Spend a good time with your girlies and partner, available on every Monday only!